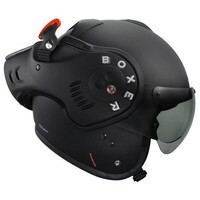 EUR 330,54 EUR 280,17 Excl. VAT. Price including VAT. 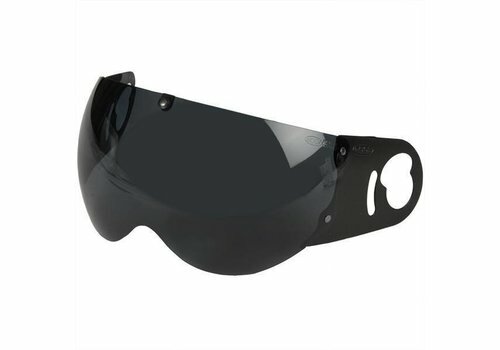 €339,00 (for countries in the European Union) Seen cheaper elsewhere? 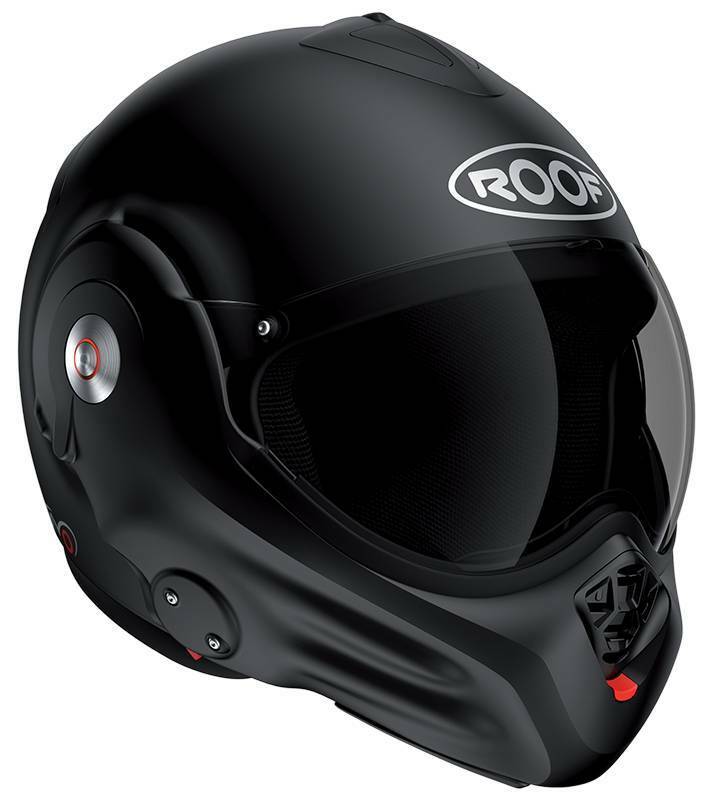 Building on the popularity and design innovation of the Boxer Classic, which was originally pioneered by Claude Morin in 1995, Roof made some improvements to the chin bar and the way that the visor opens and closes in the Roof Boxer V8. The Boxer V8’s chin bar smoothly moves from its full face position 180 degrees to its open face position. 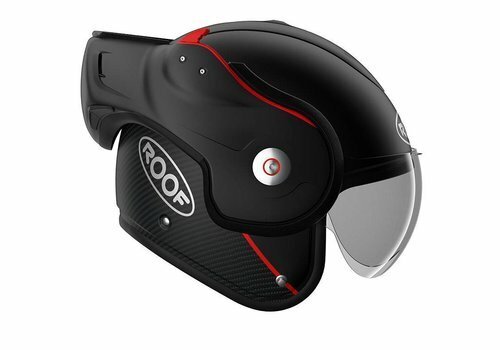 The visor closes positively and it forms a better seal with the chin bar. Adjustable ventilation in chin bar helps keep the rider cool, even on the hottest days and reduces fogging on those damp cool days. 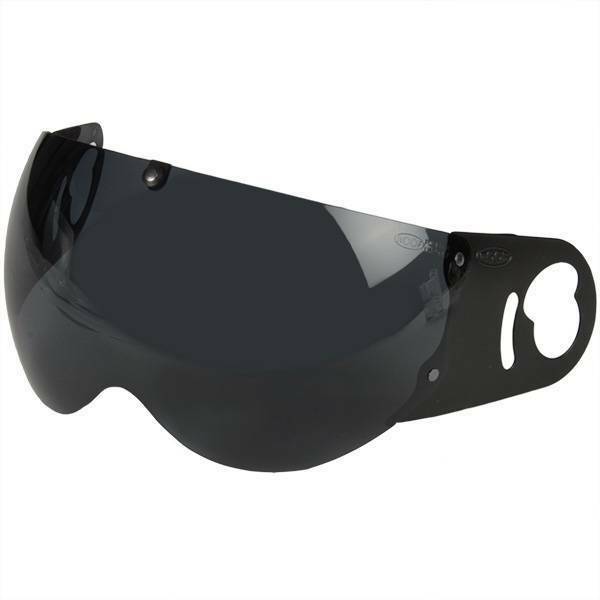 Adjustable ventilation on the upper shell helps with cooling yet does not restrict the chin bar movement. 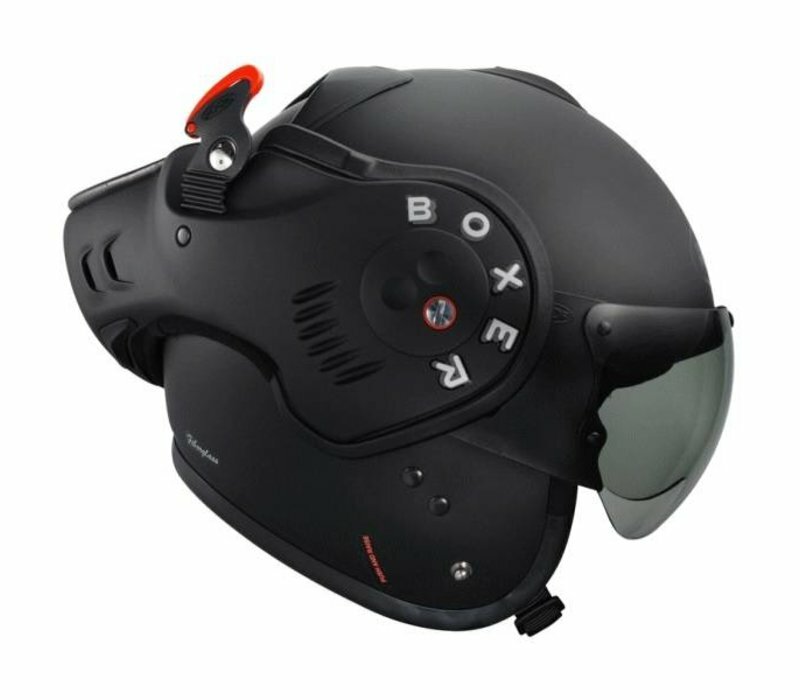 As with the Boxer Classic, the Boxer V8 has a spherical screen and chin piece which can rotate 180 degrees to the back of the shell. 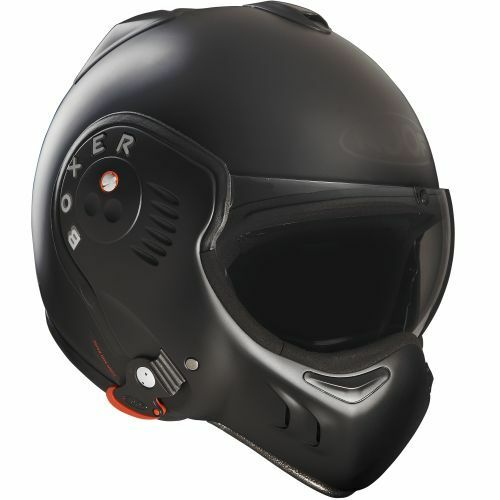 Meaning the Boxer V8 can be worn in four different configurations: as an aggressive, helicopter pilot styled full face helmet with or without the integral eye shield; or as a classic open-face helmet again with or without the eye shield. 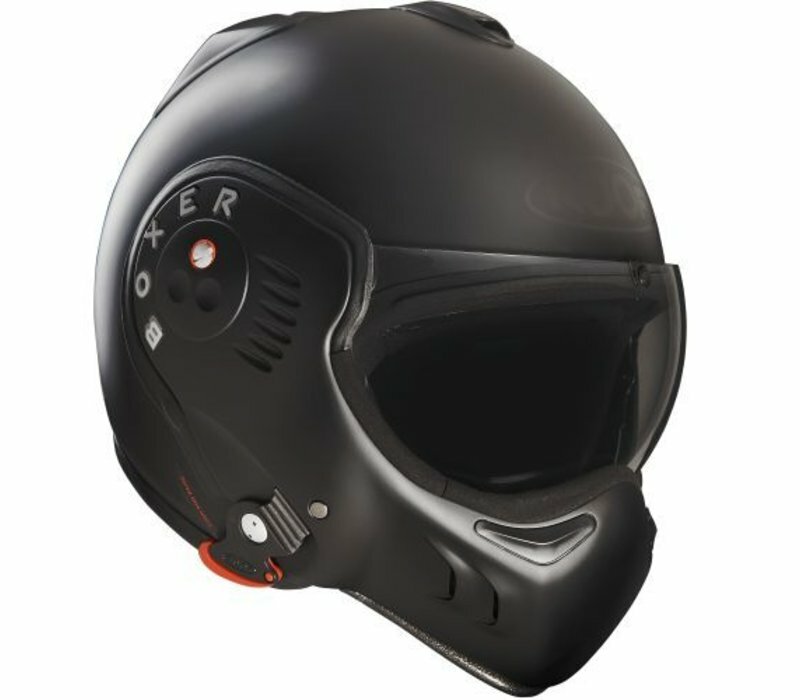 The Boxer V8 uses the latest composite materials and fibreglass in its construction and comes complete with a 2mm thick bi-focal anti-scratch visor. 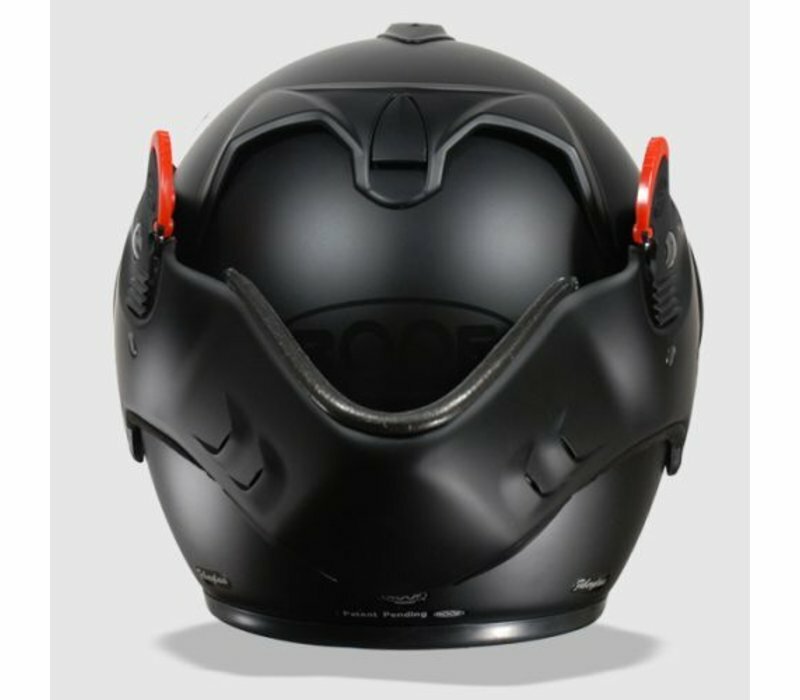 The helmet is fastened with a quick-release button buckle. 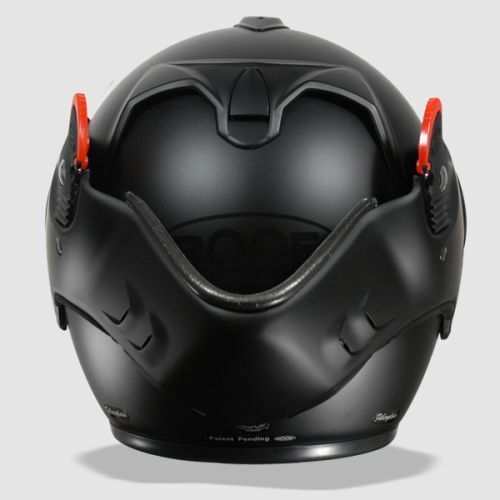 Uniquely, the helmet has both ECE 22.05 J certification for open face use and ECE 2205 P certification for full-face use. It is also SHARP four-star rated. 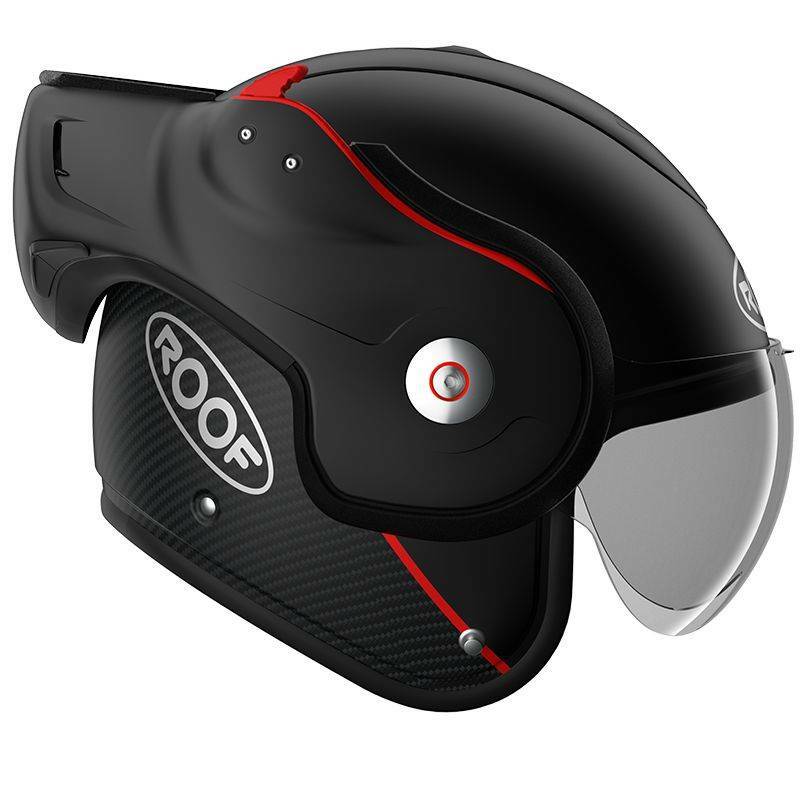 Check out the new Roof Boxxer Carbon Helmet from the 2018 collection! 3 St hjälmar i ett,för mej med glasögon är det perfekt. Super passform,immar inte. 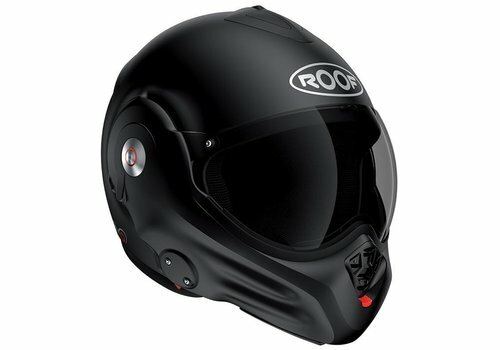 Livraison rapide, casque de qualité et conforme au descriptif.